How well do you know your Barbour? In the UK, when you think “waxed cotton jacket,” Barbour has been the forerunner for over a century. After a recent resurgence thanks to British trendsetters, the heritage brand's weatherproof wonders are set to make a splash at Stitch Fix this year. Here's a brief history of this behemoth menswear brand. Read on to learn about the evolution of Barbour—and how it went from sailor outerwear to celebrity obsession. South Shields is a small town in northeast England. You might know it as the birthplace of Ridley Scott—but it’s also home (past and present) to Barbour. The company was founded by John Barbour in 1894. So what is waxed cotton? In the 15th century, mariners coated their sails in fish oil to make them work better; from the leftover sail cuts, they fashioned waterproof capes. Though the oil-covered fabric kept them dry on the high seas (not to mention all the free Omega-3), there was one obvious drawback: the stuff smelled terrible. Barbour’s first offerings were made of oilcloth—an evolution of the grease-laden sails. The heavy weather-proof cloth was made by combining linseed oil and Egyptian cotton. Their target customer was anyone in water’s way. People like sailors, fishermen, dock and shipyard workers, that is, the men frequenting the seaside village Barbour called home. 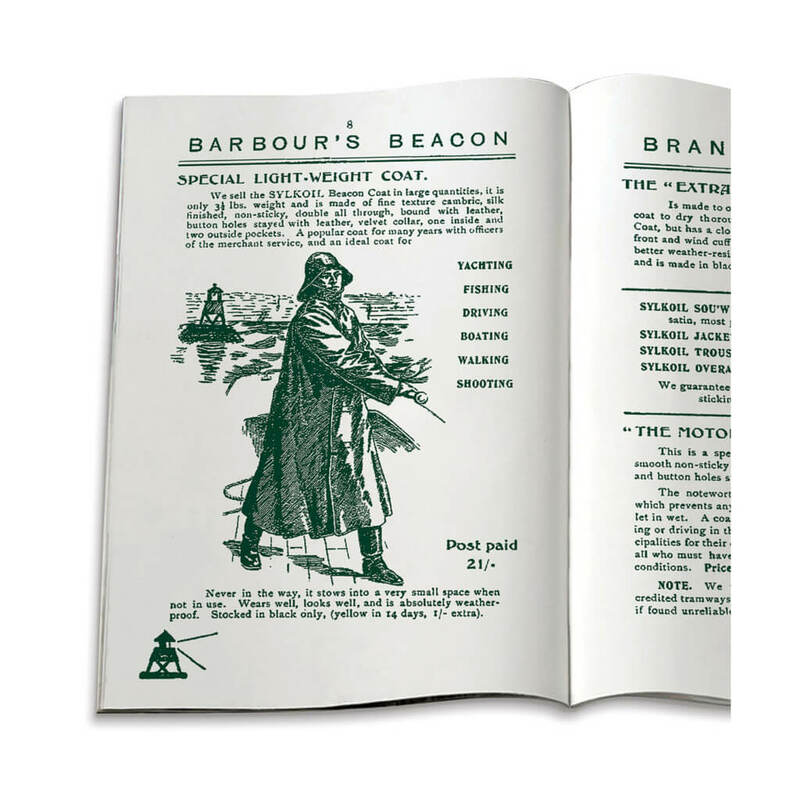 In 1908 the founder’s son, Malcolm Barbour, produced Barbour’s first mail-order catalog. This helped the company evolve their products and customer base. Barbour began making long coats and riding capes for farmers, gamekeepers and other country folk. By 1917, the catalog accounted for almost 75% of Barbour’s business. A family business to the core, Barbour had a tendency to innovate with each succeeding generation. When Duncan Barbour, the founder’s grandson, joined the company in 1928, his enthusiasm for motorcycles led to the creation of a new line. Barbour’s motorcycling jackets were an immediate sensation, and became the de facto standard for British racing teams for over 40 years. In fact, Barbour’s first major celebrity endorsement might be attributed to their presence in the motorcycle racing world. In 1964, actor and motorcycle enthusiast Steve McQueen wore Barbour’s International Jacket at the International Six Day Trials in East Germany. At that time, it’s scarcely an exaggeration to say that McQueen was the coolest man on the planet, and his association with Barbour was pivotal for the brand. It’s scarcely an exaggeration to say that Steve McQueen was the coolest man on the planet, and his association with Barbour was pivotal for the brand. 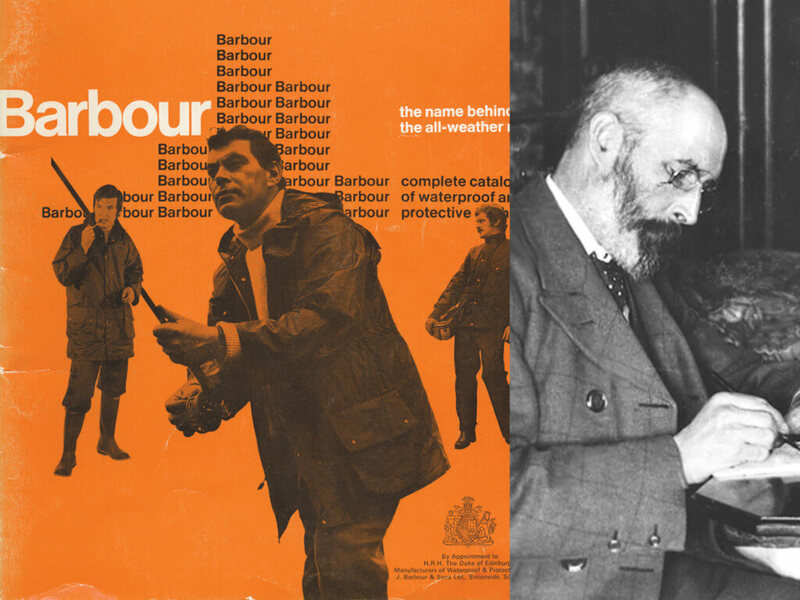 The British monarchy had two big influences on Barbour: one intentional, the other not so much. The first was by granting distribution of waterproof and protective clothing to the Royal Warrant—a supplier to the royal court. That’s like being the official supplier to the Queen—not a bad customer. But the second, more roundabout way, is probably what instigated Barbour’s transition from farmhouse to fashion house. 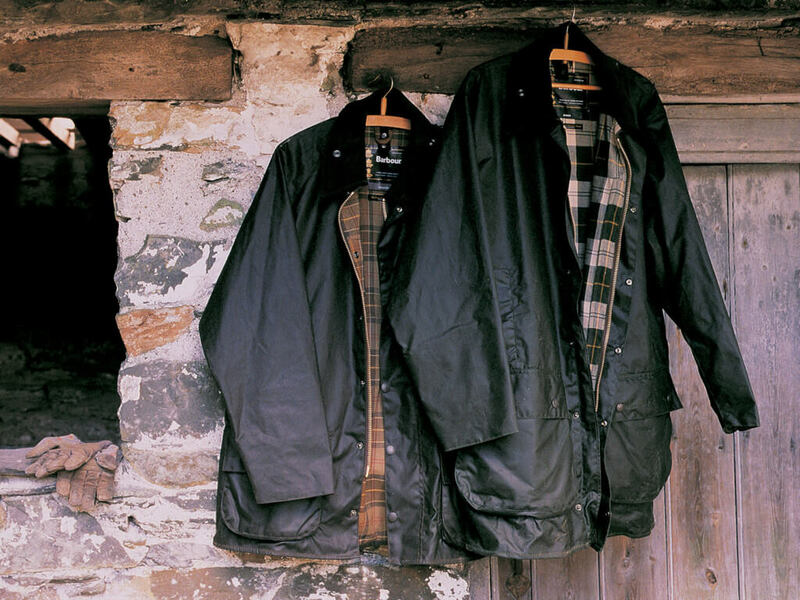 In post-war England, Barbour was well known, but largely as a staple of outdoor menswear. So when the late Princess Diana was spotted in a Barbour, it was a big deal. It prompted her cohort of young upper-class women (known as the Sloane Rangers—think: British preppies), to adopt Barbour alongside other heritage brands and styles, like Harris Tweed and Wellington boots. For perhaps the first time, the fashion of Barbour superseded the function of it. But rather than shy away from this attention, Barbour leaned into it. The ‘80s were a prolific time for the brand: the Bedale equestrian coat debuted in 1980, and the Beaufort shooting jacket (sported by Lady Di) sold in 1983. Both were instant classics. While Barbour continued to produce their garments in their old-world sensibility, true crossover success struck in the 21st century. Barbour took center stage at Glastonbury 2007 when celebrities like Lily Allen and the Arctic Monkeys’ Alex Turner were photographed wearing their signature waxed cotton coats. Suddenly, a new generation was clamoring for the coats and jackets once targeted tor shepherds, hunters and sailors. A new generation was clamoring for the coats and jackets once targeted tor shepherds, hunters and sailors. It’s impressive for any brand to have longevity, particularly in fashion, but Barbour has endured. They went from manufacturer of workwear to a genuine player in the fashion world. With its strong association to the bucolic country life, Barbour might have run out its shelf-life a long time ago. Instead, the perpetually-tuxedoed 007 was wearing a Barbour in the movie Skyfall. In 2012, after more than a century in business, Barbour was awarded Drapers Menswear Brand of the Year. Not bad for some oilcloth. Want to get your hands on a Barbour jacket? Ask your Stylist for one.